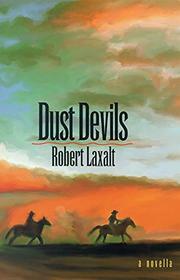  From Nevada author Laxalt (The Basque Hotel, 1989), a coming- of-age story, part of the publisher's Western Literature Series, this time about the American frontier early this century. Sierraville (14 buildings! ), in Heavenly Valley, has an auto shop for newfangled Model T Fords and a gallows still in place for rustlers and rapists--who get caught. Young Ira Hamilton, son of Indian-hating John D. Hamilton, comes to town with his best friend Cricket, a Paiute, to enter the Fourth of July's rodeo bronco- busting contest. Ira and Cricket, it turns out, were suckled at the same breast when Ira's mother died in childbirth, a fact John D. has regretted ever since. Ira has been accepted among the Paiute and trained by Cricket in the Indian's hunting arts and warrior skills. As it happens, with Cricket's help, Ira now survives a supremely exciting airborne mauling by Thunder, a Mustang, and wins a pure-blooded Arabian colt--but it won't be his for long. The notorious gallows' bait, sidewinder and rustler Hawkeye, a thin- lipped study in black garb, steals the colt, and Ira and Cricket set out in pursuit. Meanwhile, the question remains whether Ira will someday marry Molly, the budding daughter of a prosperous rancher, or Thoma, Cricket's glorious young sister, a mating not only already consummated but approved by Cricket's father Black Rock Tom, the leader of the Paiute. The boys track Hawkeye across the Black Rock Desert, along the Emigrant trail littered with debris of pioneers, and through the long valley that at last leads to the immensely huge city of Winnebucco, where nearly a thousand people live and where they finally come face to face with Hawkeye. Will Indian savvy win the day? A tight little story, and superbly American as well.